During it's long tradition in the manufacturing of graphite arrows, the Gold Tip name has come to stand for the most innovative, durable, and precise carbon arrows in the world. Every Gold Tip arrow is manufactured from the finest aerospace-grade materials and built to meet the industry's weight and straightness specifications. 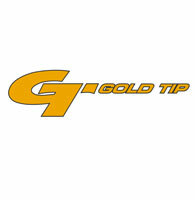 Gold Tip's products are supported by a network of knowledgeable and friendly employees, dealers, and distributors. That's why many of the world's top professional archers depend on Gold Tip, and why bow hunters and archers claim that Gold Tip makes the toughest arrows they've ever shot.